Well, another day another detailed tour. 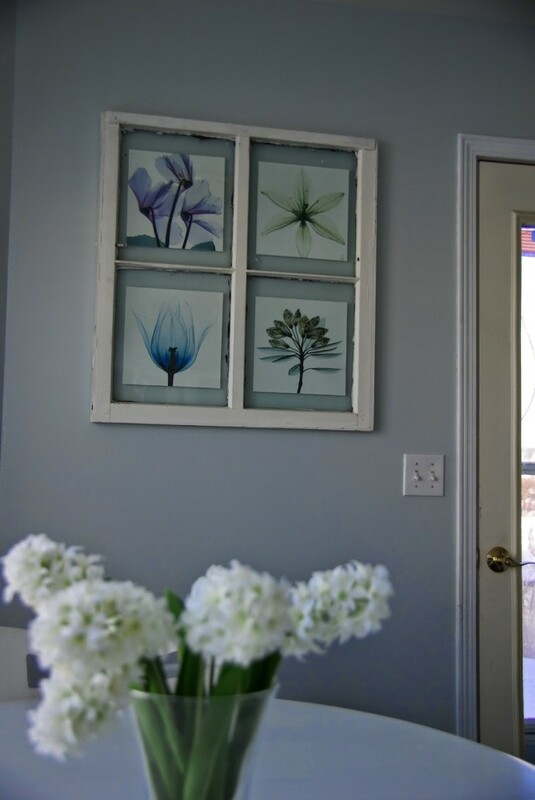 I have shared my living room and entryway, study/home office, and my outdoor area. 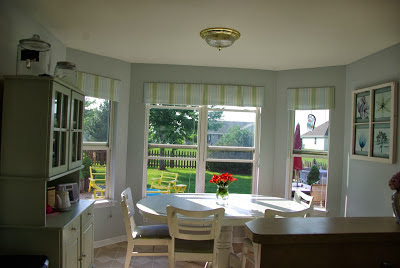 So today I am sharing my kitchen and dining room. This was the first big-ish redo. We have yet to knock out some walls, open up any room. Not big redo’s yet. I stress the YET. 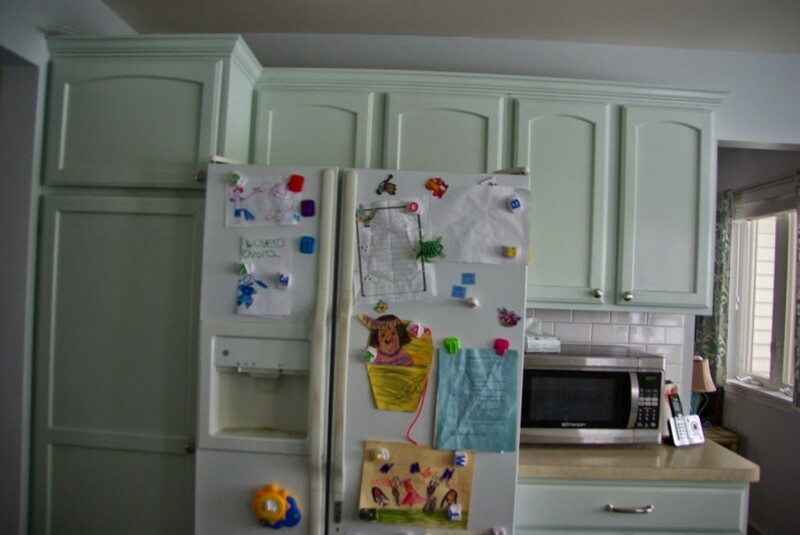 We painted the cabinet, the walls, door and window trim, base boards, a china cabinet, installed backsplash, and put in new hardware. Oh we also laid new hardwood floors throughout our whole living area, including the kitchen. When I lay it all out like that I guess it has been a fairly large overhaul. The only things left is to replace the counter tops, hopefully with marble. 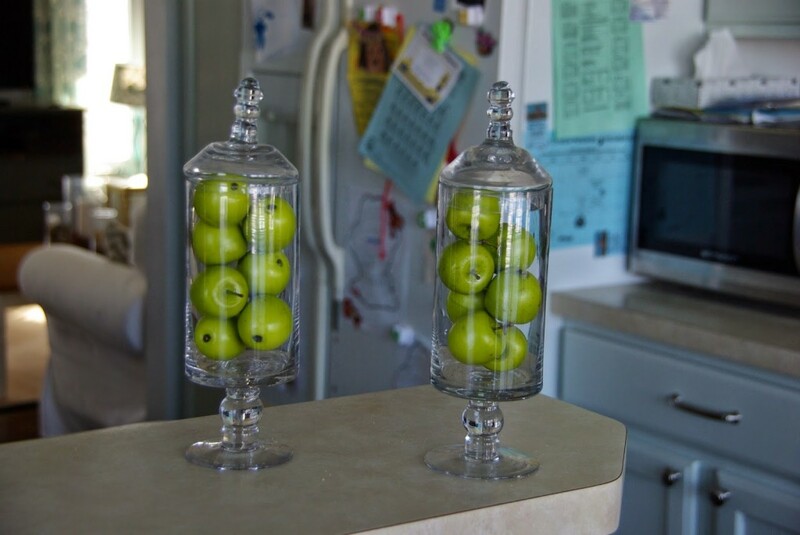 And create a custom cabinet where the china cabinet is. I want to put the microwave in there, a warming drawer and a trash can cabinet too. Also widen the entryway from the home office/ study into the kitchen. Just a few things really. There are two posts that i did early on in this blog. I know I am taking you back, wayyy back to Janurary and February of this year. yes my blog is that young. The beginning of this year is still considered the beggining of my blog. But this is an “oldie” but goodie. kitchen remodel part 1, and kitchen remodel part 2. 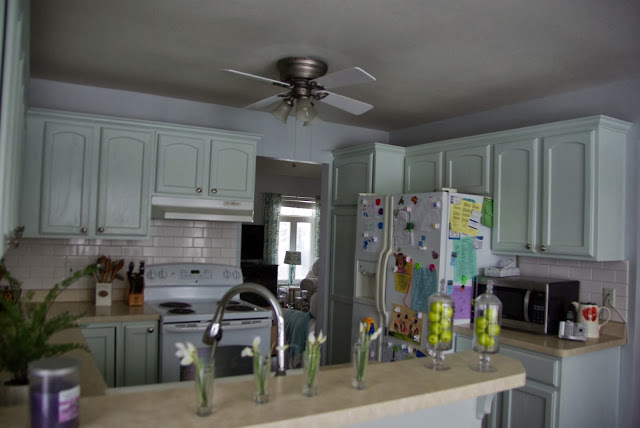 There is a ton of before pictures as well as the process of how we got it to go from this…. A lot of the accessories in this space are constantly changing. I think in the past month the breakfast bar and dinner table have had at least 5 different floral arrangements on them. I am constantly cutting flowers and arranging them. On holidays this is the spot where I do some decorating in the kitchen. So this is always evolving. And yes those four vases are really shot glasses. Hey we don’t party like that so I put them to use in other ways. This hardware was a heated discussion in our house. Well not heated but hey, it gives this story some dramatic effect. We fought, I cried, Dale stormed off… in the rain…. see so much more interesting. The truth was we did have a disagreement but there was no crying or rain. Just boring adults talking. Dale (the hubby) wanted oil rubbed bronze and I wanted the brushed nickel. 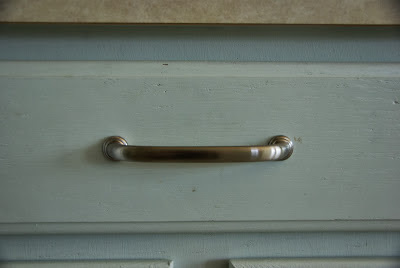 I liked the look accenting the cabinet color. 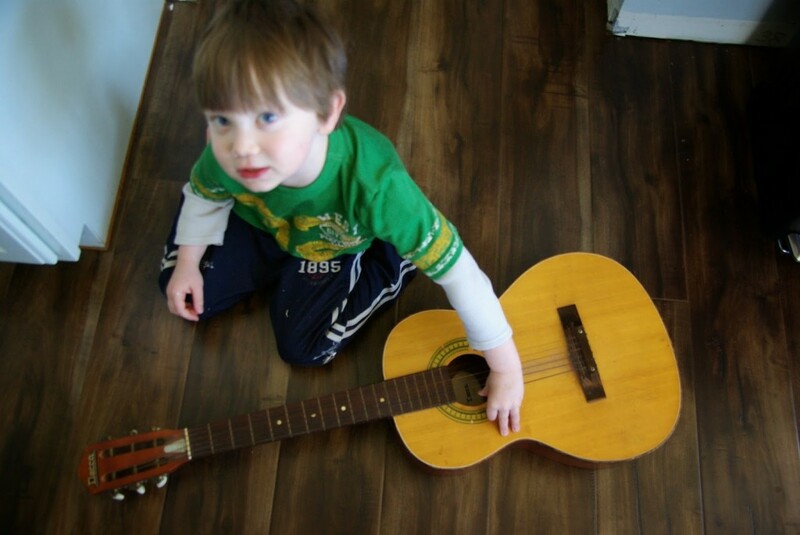 I also knew that eventually we would be putting in wood floors and wanted the room to stay as light as possible. 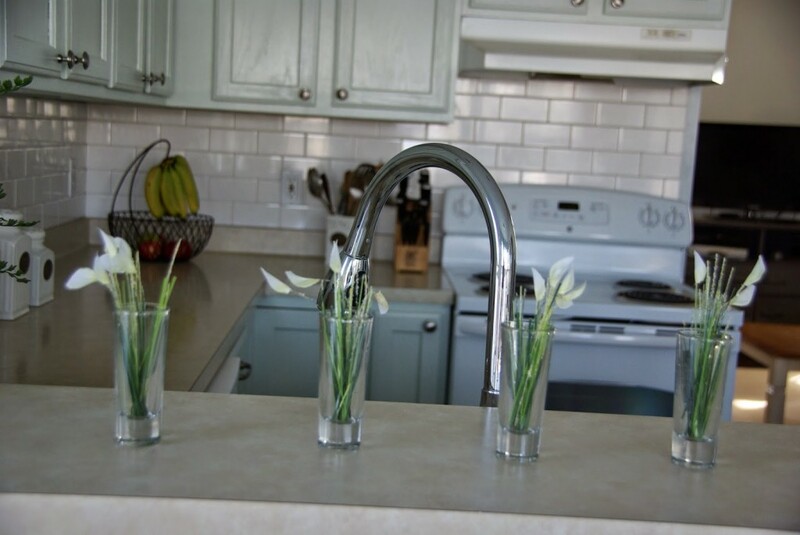 Once we found a sink faucet for the super cheap 70% marked down price in all its brushed nickel glory Dale was more happy with the price then the finish. 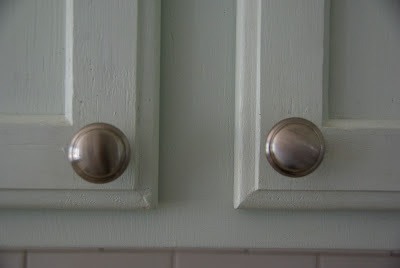 So brushed nickel it was. I won. Well really our bank account won because for once we did not go over, but under budget! The china cabinet was left over from when we bought the house. 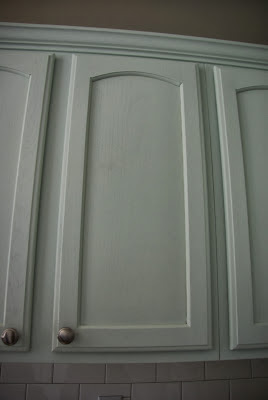 We painted it a darker shade of the kitchen cabinet color. 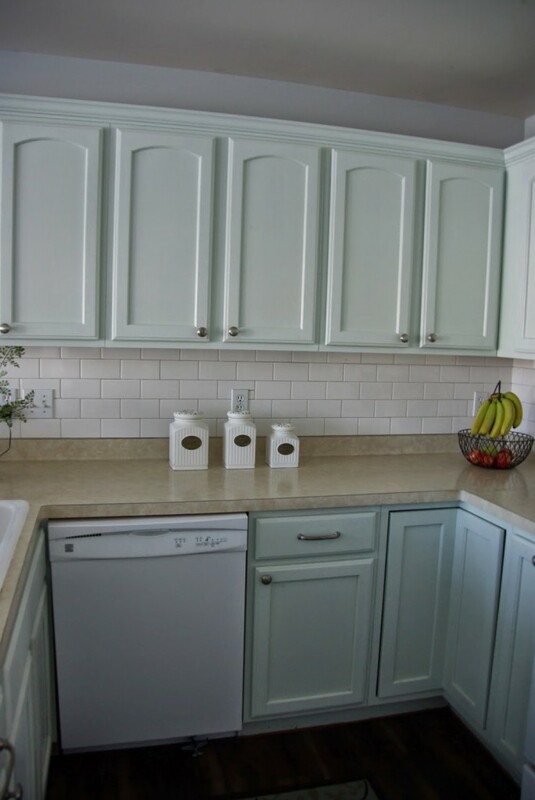 The cabinet color is Pittsburgh paints Ultra interior, Hurricane. I don’t have a wall paint color name. It was a gray that we purchased for something else. But the color we mixed with white to lighten the color. It is a gray but in certain light it looks blue. I still love it. Obviously I like gray wall colors. I promise I do have other wall colors in my home. But gray is my favorite wall color. This table area is a large area. We easily fit in 4 chairs, a large bench and a china cabinet. This cannot be too crowded because it is the way to get in and out the backdoor. So to keep it cleared is a must. I love the large windows in here. 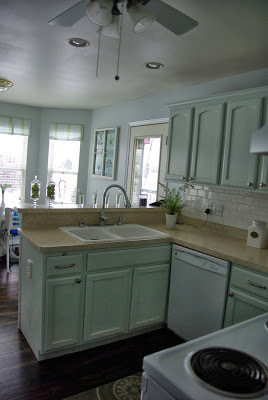 I like brightness and light for sure, and this kitchen has it. 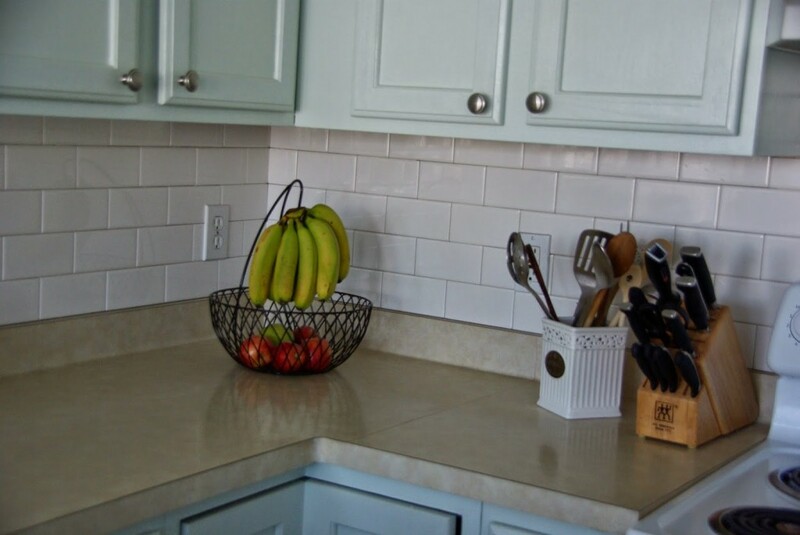 We used a white subway tile, Dale did most of the work here. And he did a wonderful job. 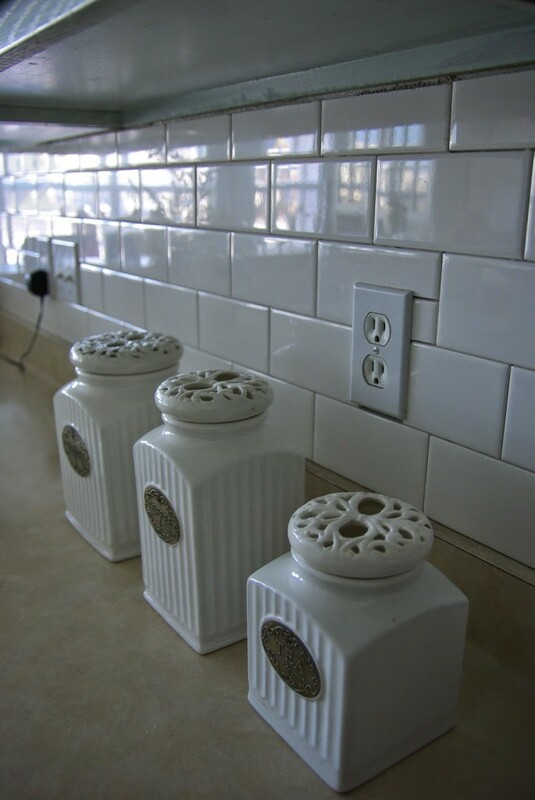 We have had many people comment on the backsplash and are surprised that he did it all. He could definitely have a second career as a backsplash installer. Although with all of the home improvement projects we do I think he likes the break of going into work and would go crazy if that was his job too. And yes the refrigerator has very rare and expensive art. I believe they have been placed in only the finest art museums, we were lucky to have the privileged of getting to display this art here. Only the best for my home. 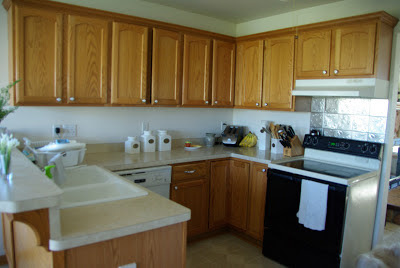 Eventually I want to take out the cabinets and countertop that the microwave is on and open up that doorway. 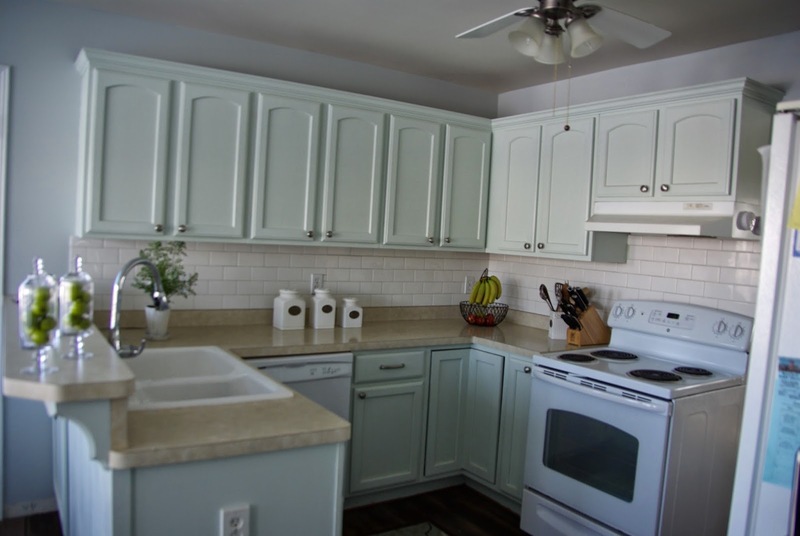 It is a small kitchen and this would allow more moving room in here. 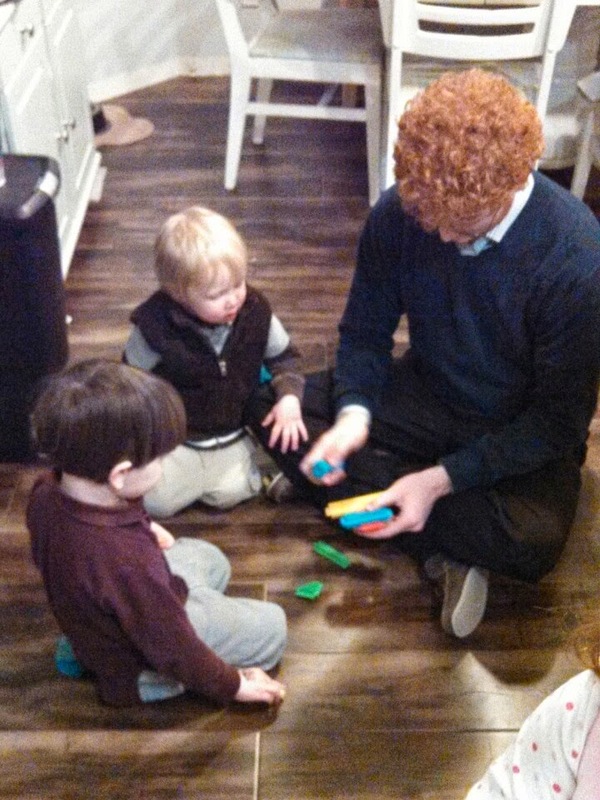 I cringe when I think of our family of 5 making this work. For now it is but my 3 kids total are the size of one adult. We will have three full grown ones eventually. I would put the microwave in a custom cabinet that would take the place as the china cabinet. Spread out the function and use of the space. For now it works with my family of 5, with the 3 littles. I got this rug from Target, I was looking and looking and happened upon the. The colors and everything work so perfectly. I love it. When the decorating fairies shine down on me and help me find the “perfect” thing it is a beautiful moment. 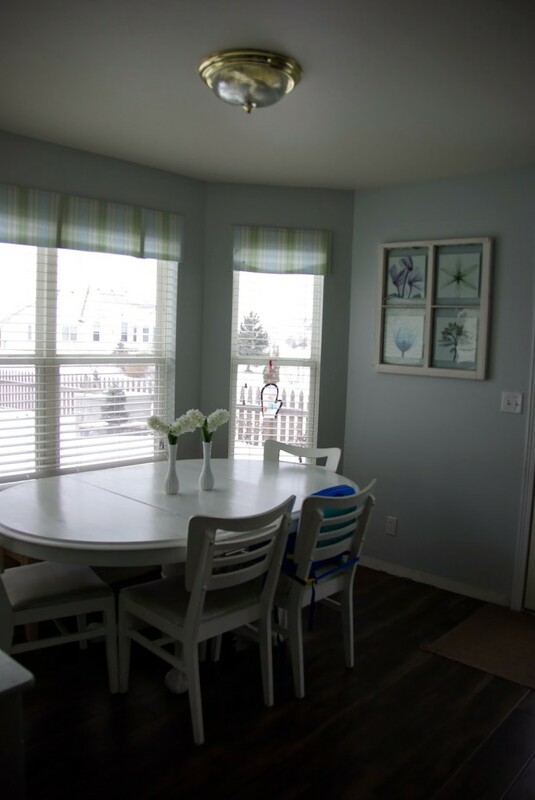 The table and chairs was purchased from a sale. 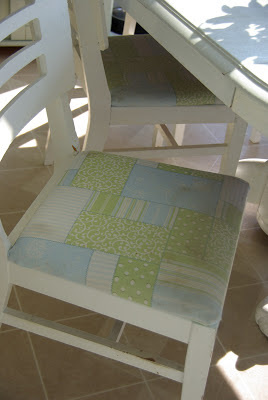 The table was already painted white, the chairs had a different pattern on the cushion. I replaced the pattern with fabric to match the window shade. 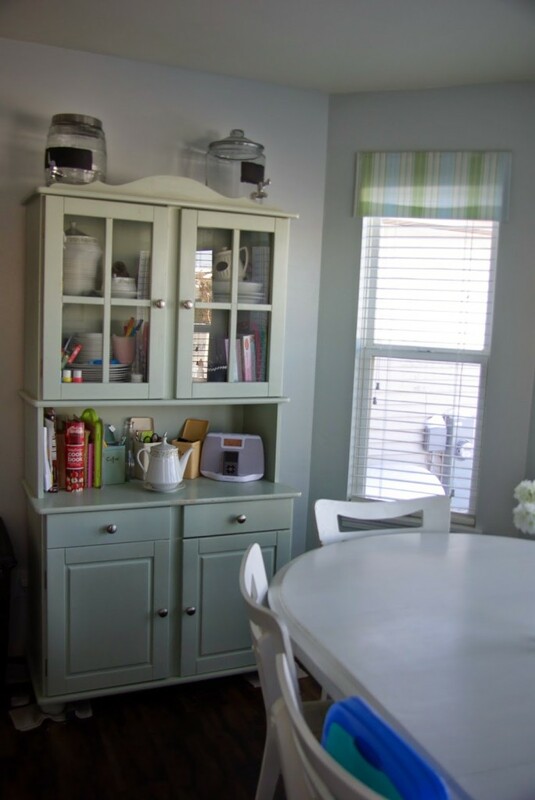 I am mulling over the idea of giving this table and chairs a redo. Not sure what but I am feeling the ants in my pants to change things up. When that happens watch out, it is on. 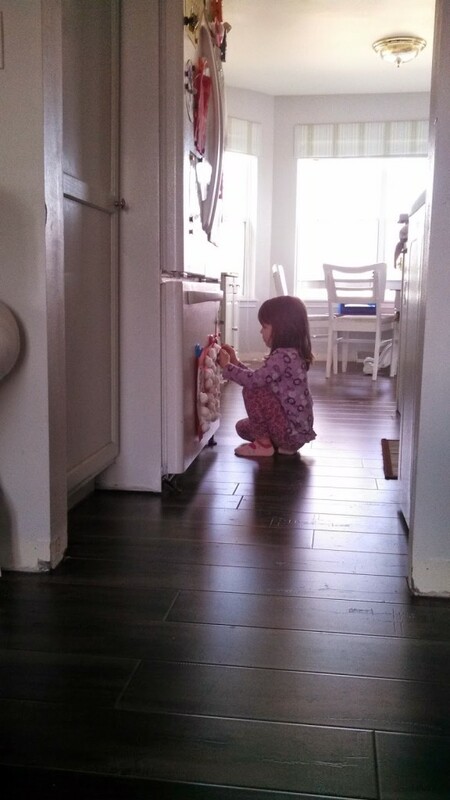 I just realized all of the kitchen examples are of people on the floor, we do stand and we do have chairs I promise. We also use them from time to time. Oh and we sometimes cook in the kitchen, occasionally. You know, three times a day. Not much. Thank you so much, that was the goal. We cannot go around knocking down walls. So I added light and bright to the space. It looks bigger, still feels kind of small :/. What a happy kitchen! I love it. 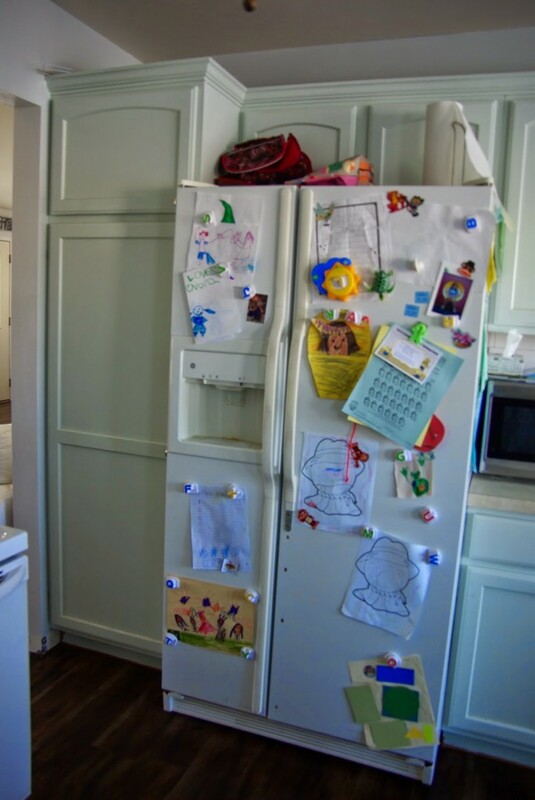 I especially love your refrigerator 😉 I was bummed when we moved into our home and had one of those fake stainless steel ones that isn't magnetic. 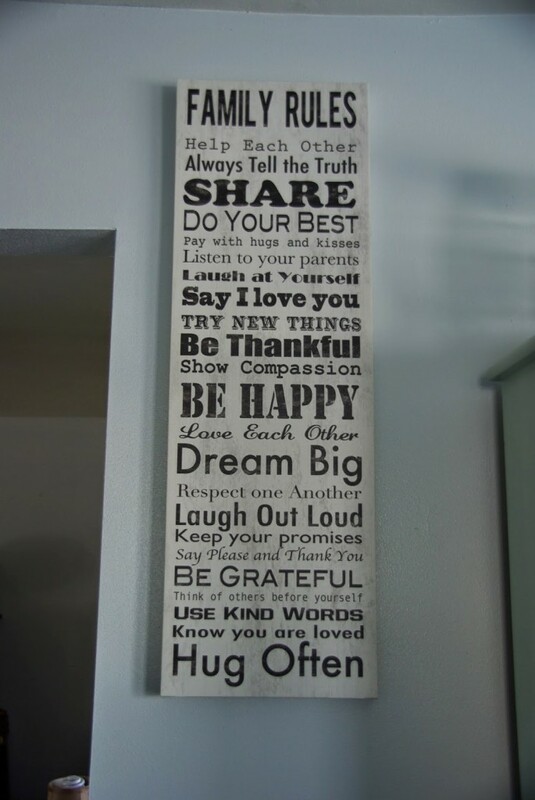 Great work on your home! 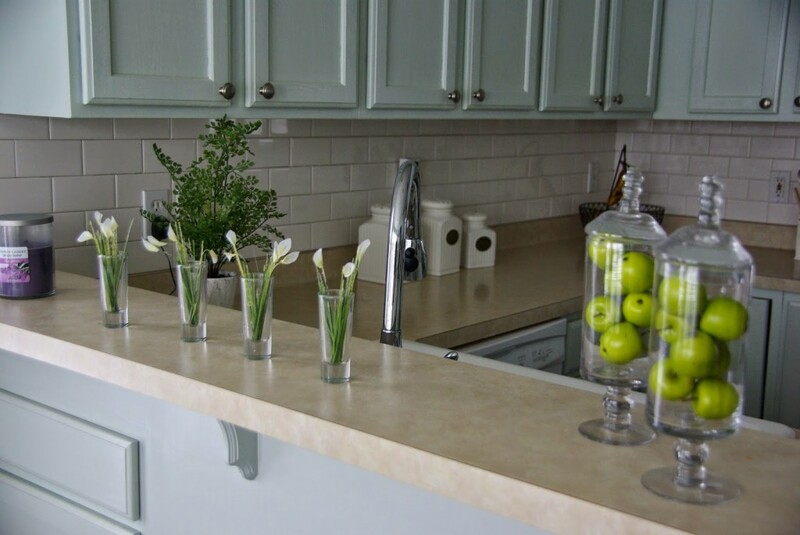 I love how light and airy your kitchen feel is!! 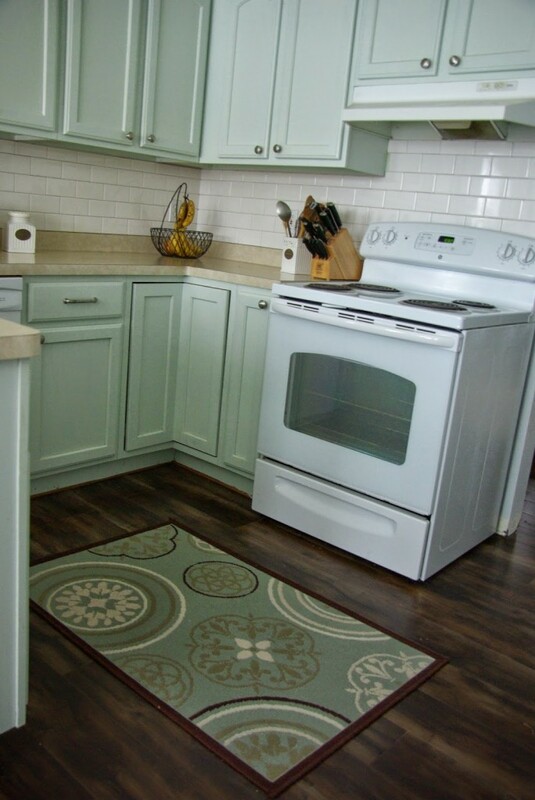 And the cabinet color…gorgeous!! wow! Talk about a make-over! I'm super impressed. looks like it should be in a magazine, seriously! that is so amazing for you to say, thank you so much! 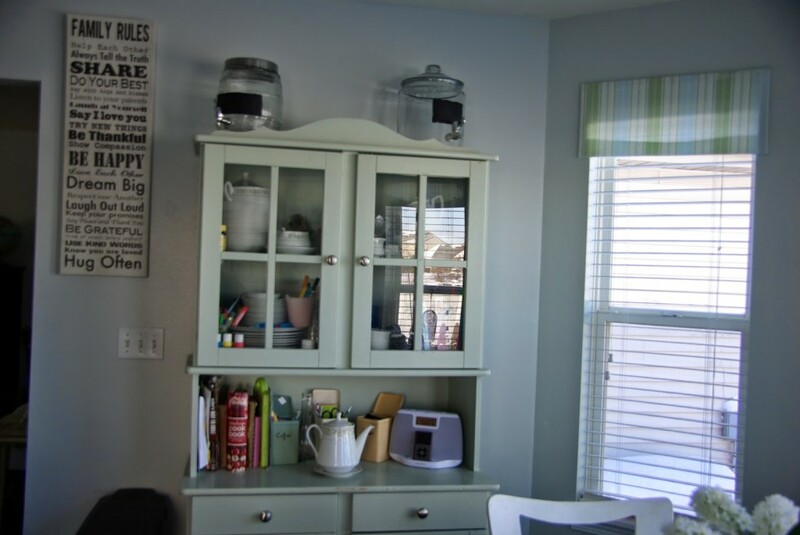 Gorgeous cupboards, friend! You did such a nice job and I cannot believe you've done that much work in just a few months! thank you so much! You made my day, I will be stopping in and sharing for sure! 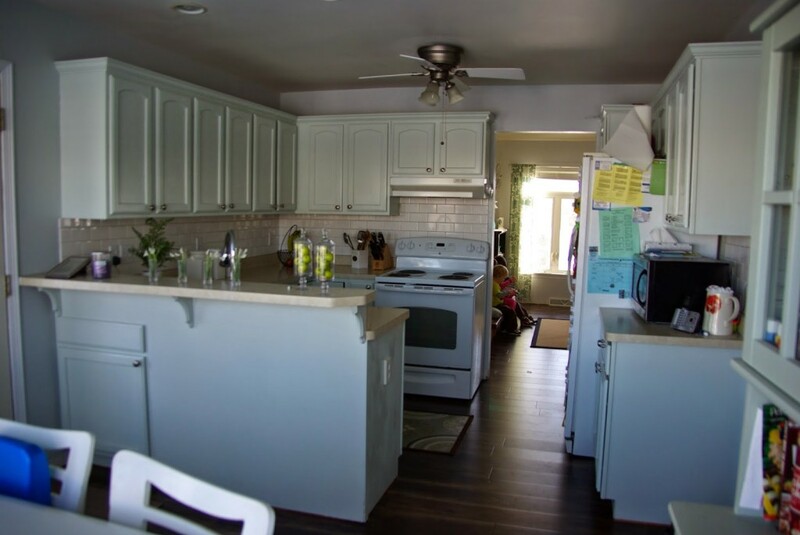 love the transformation of the cabinets. I would like to paint mine. 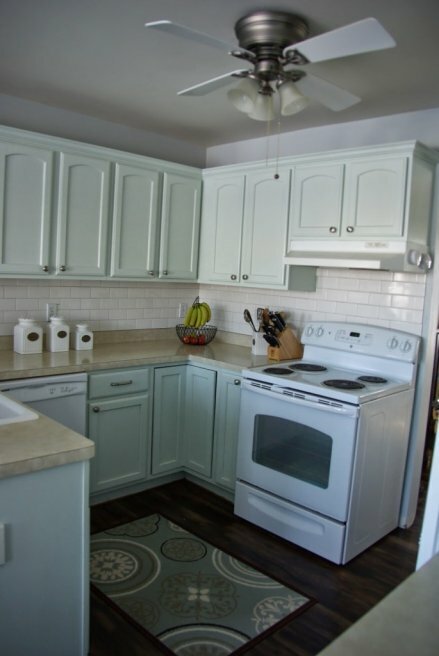 What were the steps to painting the cabinets? Painting was time consuming but so worth the work! Good luck in decorating your house!